Discussion in 'Tarantula Feeding and Feeder Insects' started by octanejunkie, Apr 18, 2018. 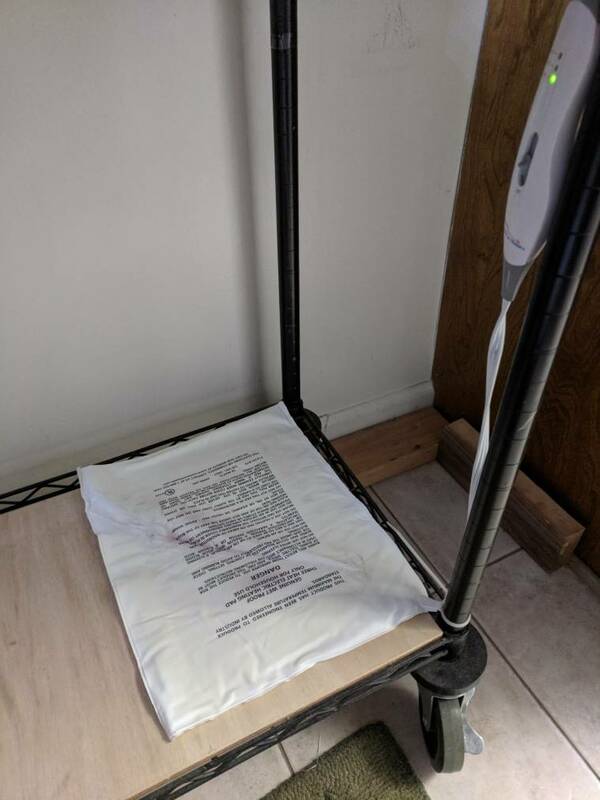 I am storing the container on a baker's style metro rack and have a standard home heating pad on low under the container, this raised the floor temp to around 85-90 degrees. I'm using a few egg cartons cut in half making handling easy inside the container, though as the colony grows we will probably need to add more egg crate. 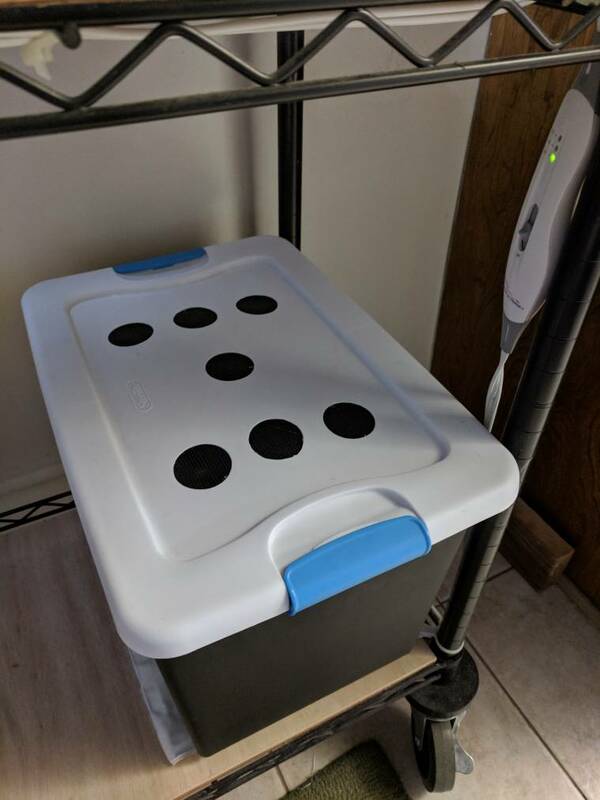 Food and water are simple, dried dog food and water bites in a small planting basket. We just upgraded to this so I will update this thread if anything changes for better or worst to warrant an update. I've got mine in an 18 gallon tub. I use 12x12inch egg flats and cardboard dividers. I also read that roaches like darker bins, so I did some side by side testing for a couple of years. I saw no difference between sterilite clear containers and blue, green, or gray opaque containers. 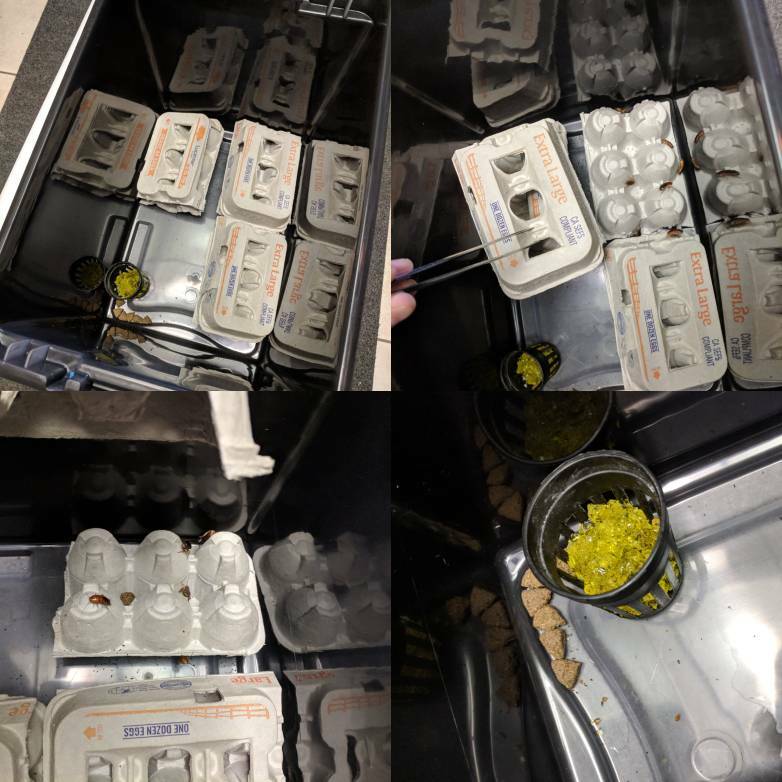 I now prefer the clear bins because they are smoother inside, which makes it harder for the little buggers to find their way out, and because I like to be able to see what's going on in there. You could have saved $1 on paint!!! octanejunkie and Dave Jay like this. Welcome to my world. I measure the amount of roaches in pounds now.